Court urges settlement, surveyor admits regrettable choice. Attorney Michael Goldsmith presents final arguments to Judge Robert Foster in Land Court on February 22. 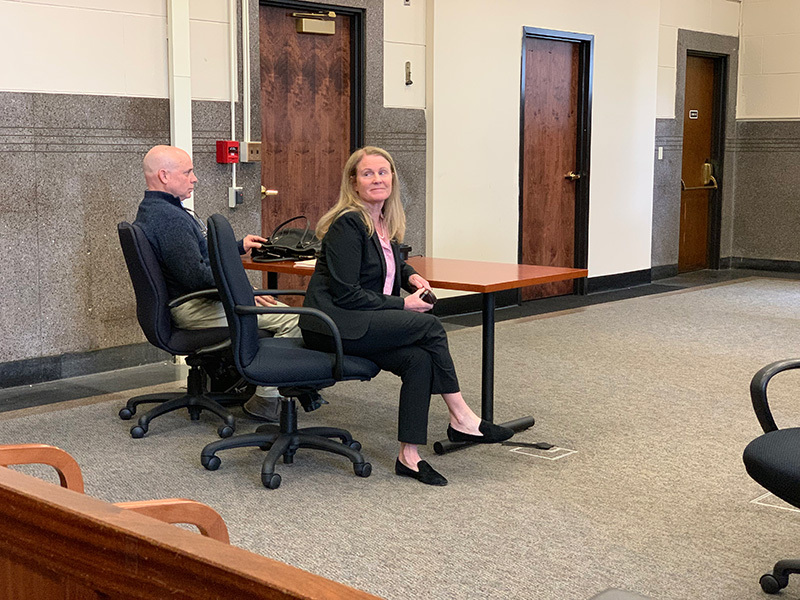 At the close of final Land Court arguments in Boston, Pro se litigant Susan Zarba, seated next to her husband John Zarba, looks back to where Keith and Lori Murphy are seated. The Zarbas and Murphys are on opposite sides of Superior Court litigation. The final arguments in a convoluted border dispute between the town of Oak Bluffs and guesthouse owners John and Susan Zarba were heard by Land Court Judge Robert Foster in Boston Friday, setting the stage for a decision. Judge Foster did not indicate when he would rule. 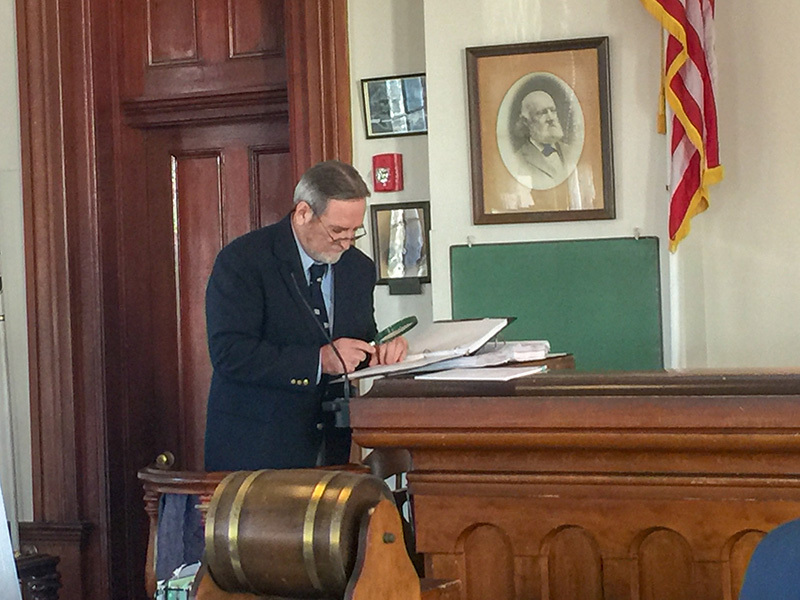 His verdict may ultimately preserve or condemn a two-story guesthouse, which sits along a dirt road about 250 feet from Oak Bluffs town hall. “Now I have to tell you, this is not something I can turn around in a week,” Judge Foster said to the litigants. 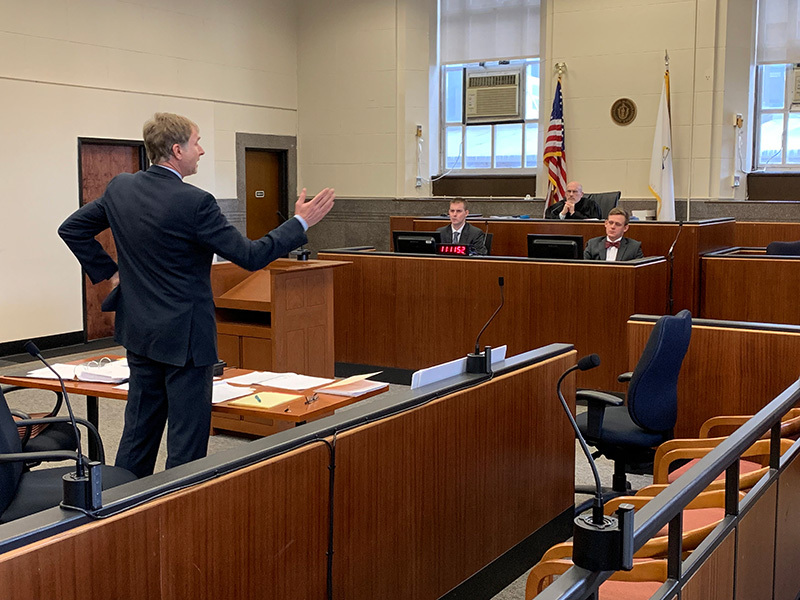 “It’s pretty complicated on the title, but I’ll try to do it as soon as I can.” He went on to urge the Zarbas, the plaintiffs, and Michael Goldsmith, attorney for Oak Bluffs, the defendant, to try to settle “soon” before he hands down a decision one or both parties might find hard to stomach. The Land Court case previously played out over three days in the Dukes County Superior Courthouse, and revolves around an alleged setback violation. 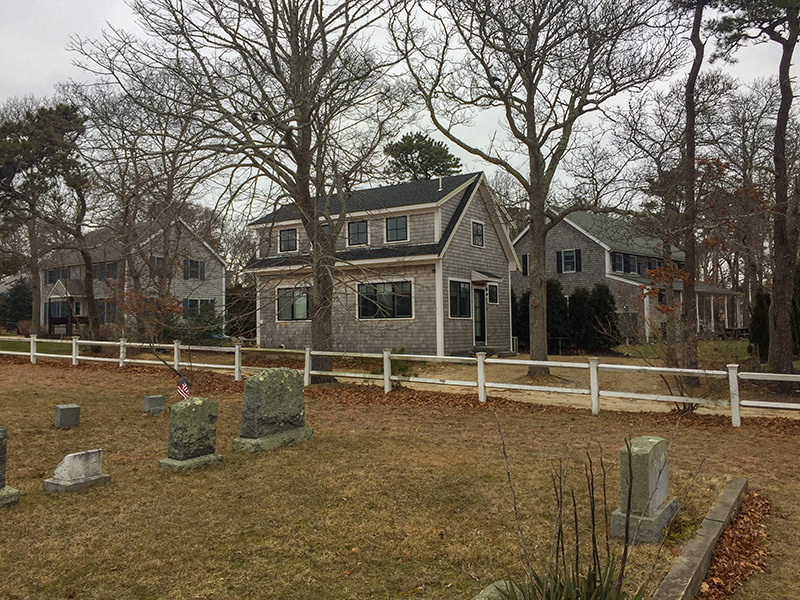 Oak Bluffs officials have maintained the guesthouse the Zarbas erected between 2015 and 2016 is too close to the Oak Grove Cemetery — “two and one-tenth feet too close,” former Oak Bluffs building inspector Mark Barbadoro wrote in 2016. The Zarbas have argued their guesthouse is lawfully sited and that the town’s boundary determination was based on a flawed survey, among other criticisms. They brought the matter to the town’s zoning board of appeals for relief. The board sided with the town, and the Zarbas then sought relief in Land Court. John Zarba, whose son plays on the MVRHS varsity hockey team, takes photos of the team for The Times on a freelance basis. As she did in trial, Susan Zarba represented herself and her husband during closing arguments. 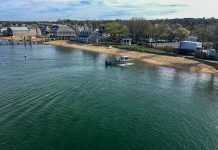 In addition to highlighting numerous faults she found with the survey Oak Bluffs commissioned, including the alleged use of a grave marker as a survey marker, Zarba leveled accusations of “fraud,” “deceit,” and “abuse of power” at town counsel. Zarba also cast blame on Austin for not reconciling his work with that of Charles Gilstad, the surveyor who laid out the lot divisions in Zarba’s neighborhood, and for swearing he used original monuments when allegedly none were available. “[Austin] ignored his ethical duty by not contacting the surveyor of record,” she said. Michael Goldsmith, director of Reynolds, Rappaport, Kaplan & Hackney, the Edgartown law firm that has long represented Oak Bluffs, outlined many of the measurements and angle points used to execute the town’s survey in support of the trustworthiness of that survey, and the erroneousness of the 2005 Sourati Engineering survey Gilstad did. He said Austin did his “level best” to make the most precise survey he could. 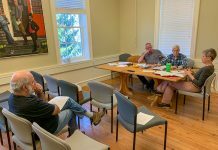 He pointed out the town hasn’t imposed any fines on the Zarbas, pulled their temporary occupancy permit, or sent a demolition order to them. 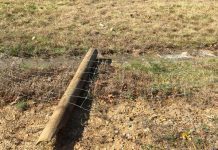 While Goldsmith said fences likely existed in the vicinity of the cemetery, he discounted an argument the Zarbas made that a bygone metal fence marked the cemetery edge. He said this was because a key deed did not use fencing as a delineation tool. Goldsmith also said Gilstad’s survey was problematic because of deficiencies in his title work. Zarba told the court she submitted a motion to strike all documents from a parallel lawsuit with the Zarbas’ neighbors, Keith and Lori Murphy, that are in Goldsmith’s post-trial memorandum because the information “wasn’t part of the trial.” Judge Foster gave Goldsmith until March 1 to respond to the motion in writing. 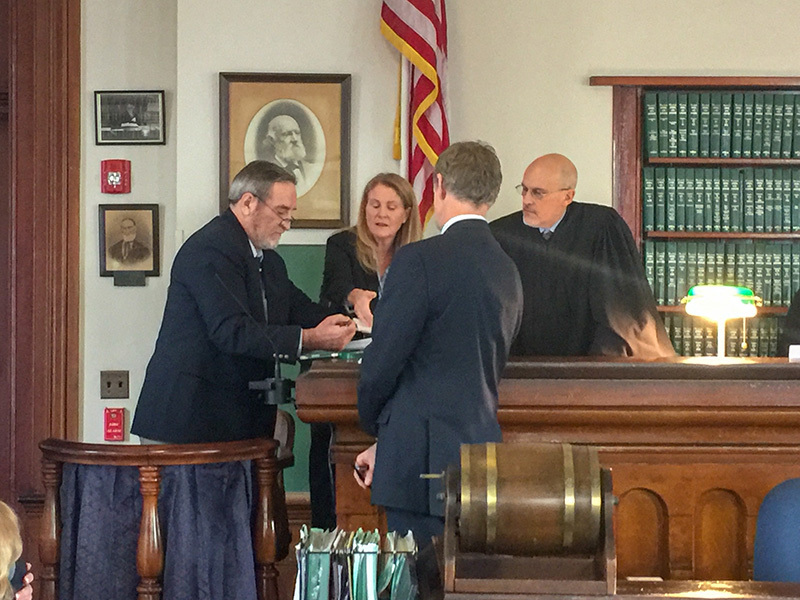 The Murphys, who attended the the closing argument proceedings, sued the Oak Bluffs ZBA for enforcement of parking and open space zoning violations they contend the Zarbas committed as part of the creation of their guesthouse. The Murphys also struggled with the Zarbas over the dirt road both the guesthouse and the Murphys’ house sit on. 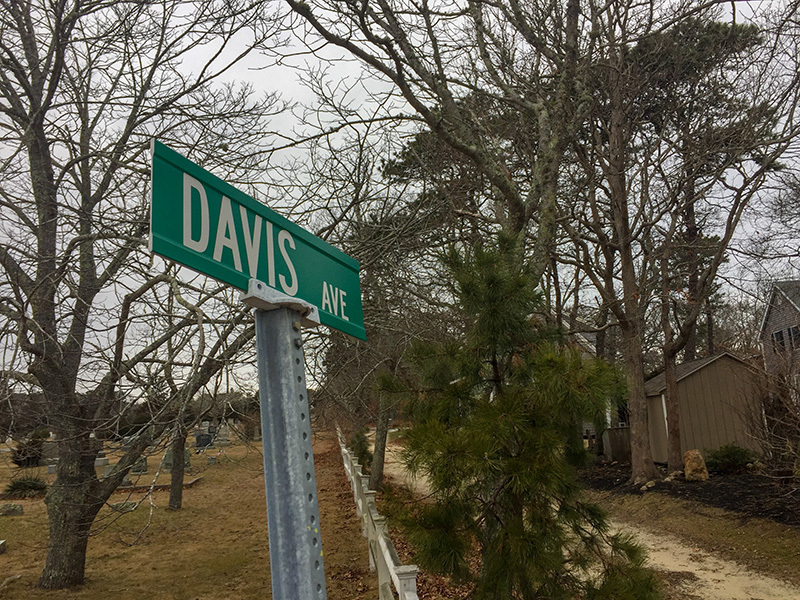 Among other things, the Murphys allege the Zarbas tried to close the road to them and eliminate the town street sign labeling it Davis Ave. The Murphys’ consolidated zoning case had been in limbo between Superior Court Judges Maynard Kirpalani and Cornelius Moriarty. However, it was taken up by Superior Court Judge Robert Rufo, and is slated for a pretrial hearing in April. Zarba v. Oak Bluffs Zoning Board of Appeals, et al. convened in Edgartown for its third and final time on Jan. 16. 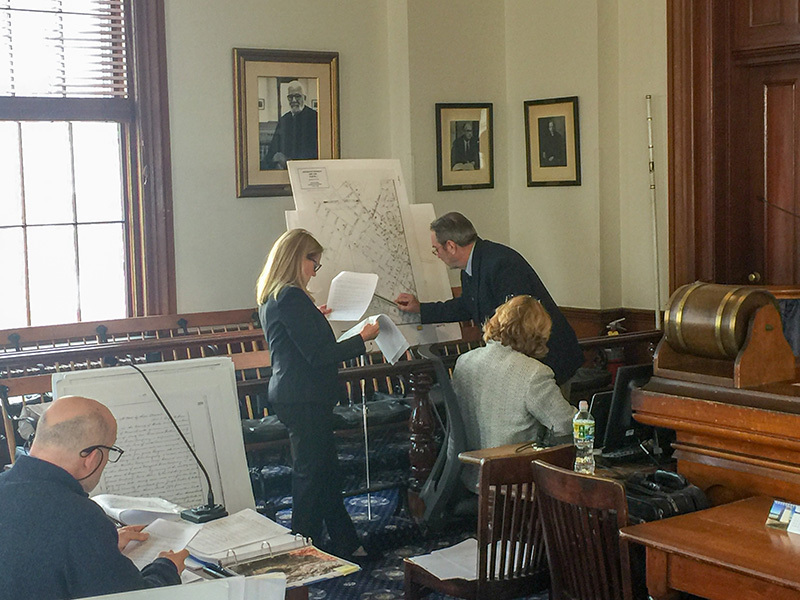 This was solely for the cross-examination of one witness, William Austin of Vineyard Land Surveying and Engineering. On the second day of trial last November, time ran out for Susan Zarba to cross-examine him, and the trial recessed until after the New Year. Austin took the stand for approximately two hours as Zarba posed a number of detailed questions, at times asking him to retrace, angle for angle, surveying choices he made. Austin made a number of admissions during his testimony, one of the more consequential of which appeared to be confessing he didn’t try to rectify differences he arrived at in his survey with the previous surveyor, Charles Gilstad, the surveyor of record. “Did you reach out to Charles Gilstad to try to resolve this boundary dispute?” Zarba asked. Zarba asked if it was his “ethical duty” to have done so as a professional land surveyor. “Yes, and I’ve done that,” Austin replied. Zarba asked why, in the dispute they were at trial for, he didn’t do the same. “Do you regret not talking to Gilstad?” Zarba asked. Lawyers for town win again. I heard they already received nearly $180,000 in legal fees for two feet of land, if they win the case. If they loose you the taxpayers just paid by nothing.